Opioid Epidemic Gets Billions in Appropriations: Now What? Last week, Congress passed the FY2018 Omnibus Spending Bill, which awards $1.3 trillion across all government-funded programs. Funding levels in this bill are effective through the end of FY2018 – Sept. 30, 2018. The package includes a $3 billion increase to address the addiction crisis, making a total investment of $7.4 billion for 32 key programs — both old and new — comprising the opioid response. Some have called this a “first-year down payment” on the $6 billion allocation for opioid addiction and mental health authorized in the Bipartisan Budget Act (the last 2018 CR) passed last month. This omnibus provides increased or level funding for mental health and addiction programs, thus rejecting cuts to behavioral health care programs outlined in President Trump’s FY2018 budget proposal. The 2018 spending bill comes as a welcome answer to funding uncertainty caused by months of continuing resolutions. The Centerstone policy staff has prepared a breakdown on the details of the funding for opioid initiatives. It shows exactly where the funds will go and what they will be used for. With spending levels now set, many may be asking: what comes next? 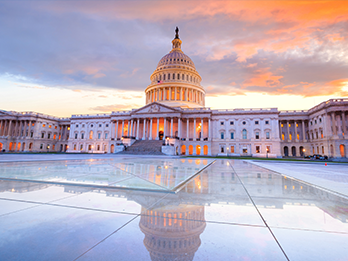 As a direct consequence of increasing stakeholder pressure and advocacy, Congress aims to pass a comprehensive “CARA 2.0” opioid package by Memorial Day. Numerous hearings in the House and Senate have resulted in a House CARA 2.0 proposal, a Senate CARA 2.0 proposal, a Senate HELP CARA 2.0 proposal, and over 25 individual House bills. Bills tend to fall into one of three categories identified as priorities by the White House’s Opioid Initiative: (1) preventing drug use initiation and reducing demand; (2) cracking down on bad actors fueling drug supply; and, (3) expanding access to evidence-based, world-class care and treatment. All proposals are still in discussion form and have yet to be finalized over the course of the next two months. With a self-imposed Memorial Day deadline fast approaching and more Congressional hearings on legislative proposals still to come, expect advocacy activities to rise to an all-time high in the coming weeks. To ensure Centerstone’s perspective is heard, Centerstone was on the Hill last week sharing our CARA 2.0 priorities with Congressional offices.